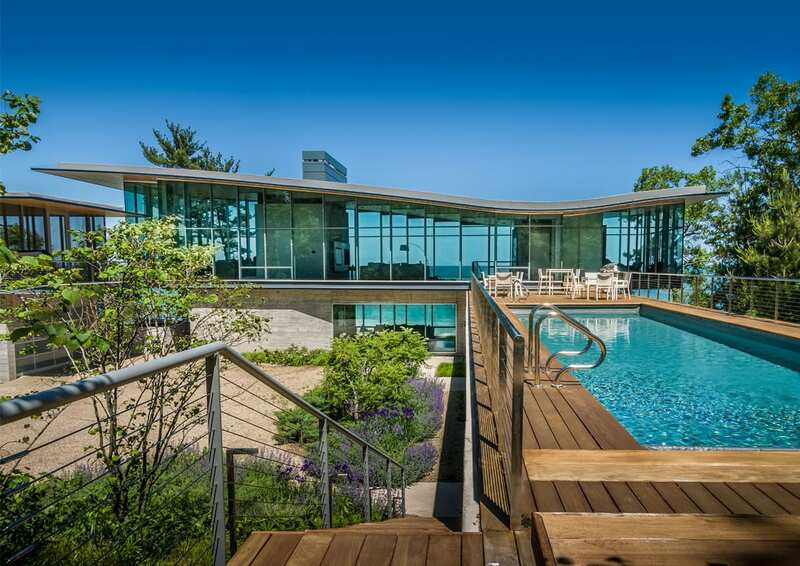 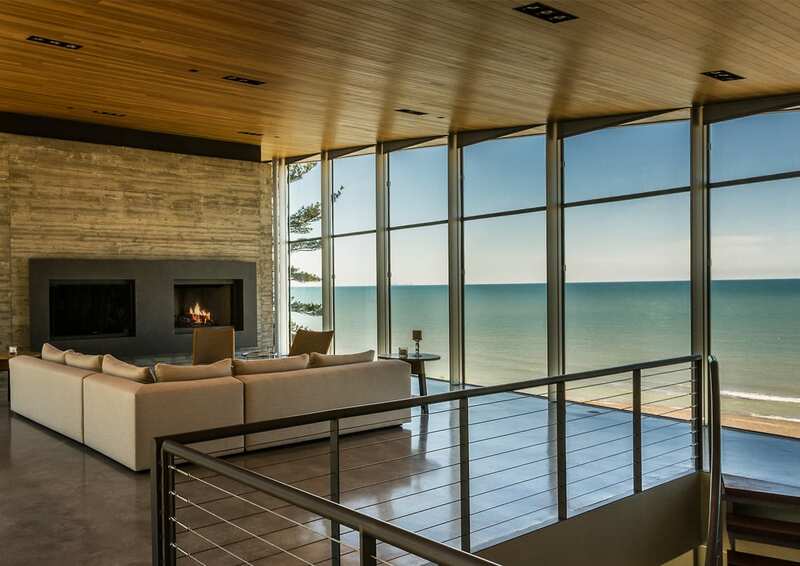 Nestled between the sand dunes of Lake Michigan to the north and a steep wooded terrain to the south, the two-level home opens and connects to both environments. 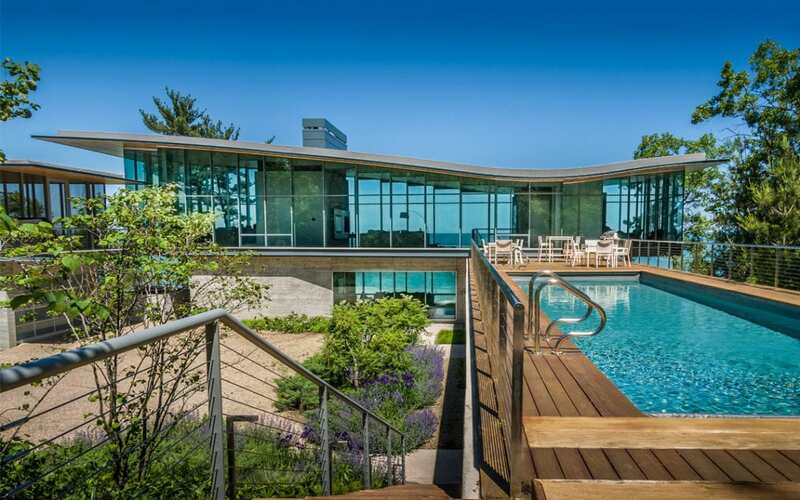 With the shifting sand dunes creating the topography of the site, the board-formed concrete base recedes into the rising woods while the all-glass living room and master suite above become a raised platform, or aerie, with views of both breathtaking landscapes. 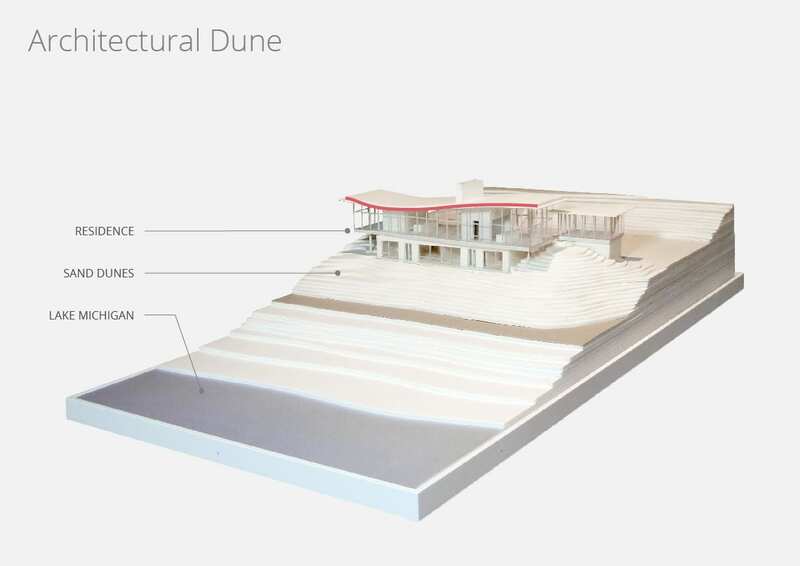 Stacking the home onto two levels not only creates a greater visual and physical connection to both environments, but also allows the house to occupy only 9% of the site, with over 76% remaining as undisturbed dune grass and woodlands. 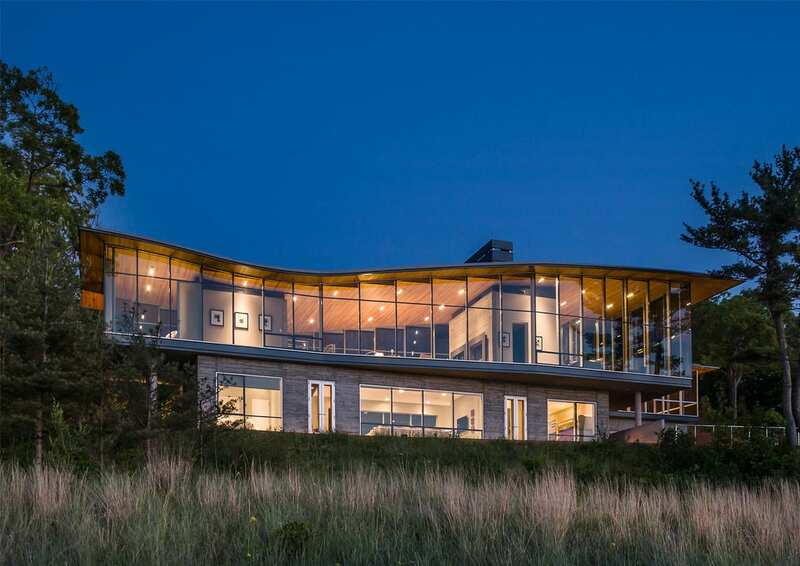 The aerie’s connection to the outdoors is further enhanced by a high undulating roofline and deep hemlock-lined overhangs. 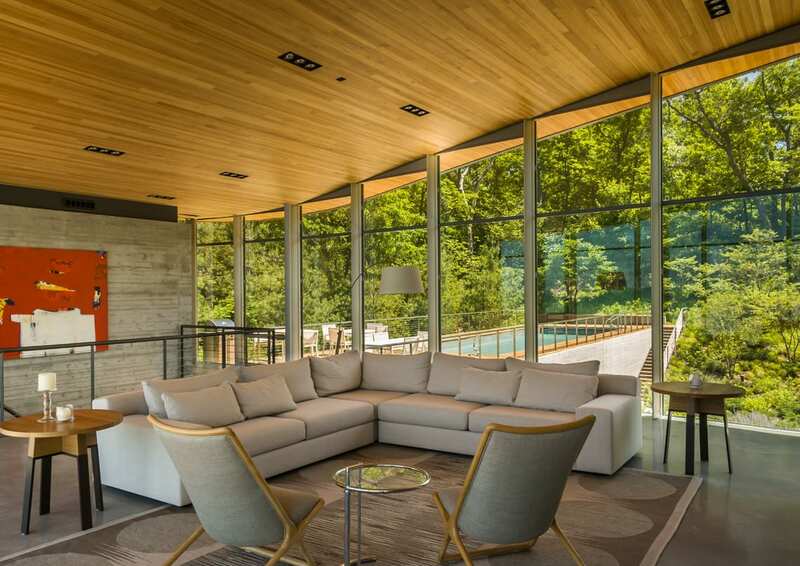 The cantilevered slab over the lower level floats the living room above the ground plane and enhances the sense of connection to the lake. 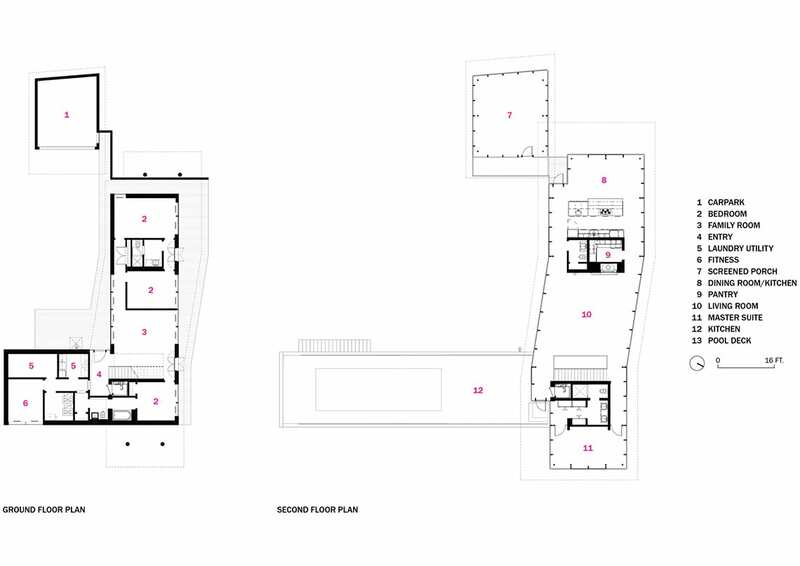 A shift in the floor plan creates access points to a screened porch and pool terrace on opposite ends of the living room, while carving space to allow existing dunes and trees to remain in place. 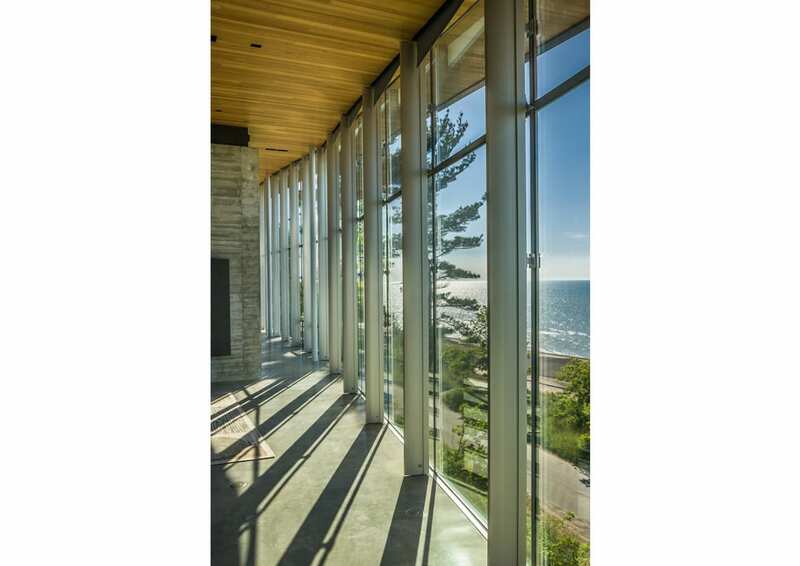 Sustainability strategies include a geothermal ground source heat pump, in-slab radiant heating, energy-recovery ventilators, and high-efficiency forced air. 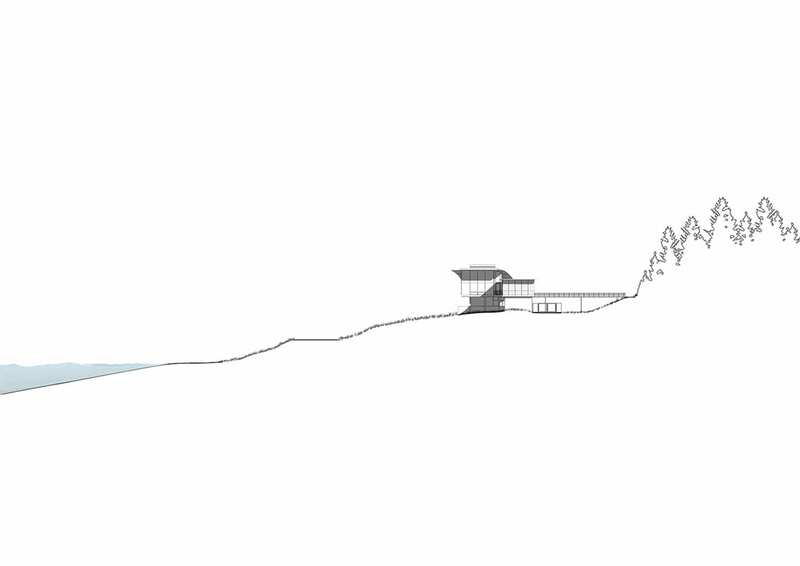 The roof is pre-wired and structurally designed for photovoltaic arrays. 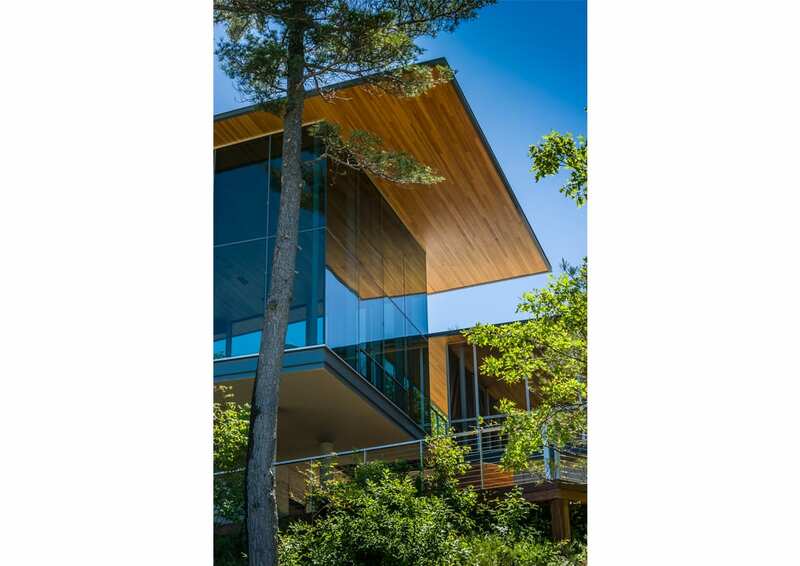 Deep roof overhangs work in conjunction with the trees on site to passively shade the home. 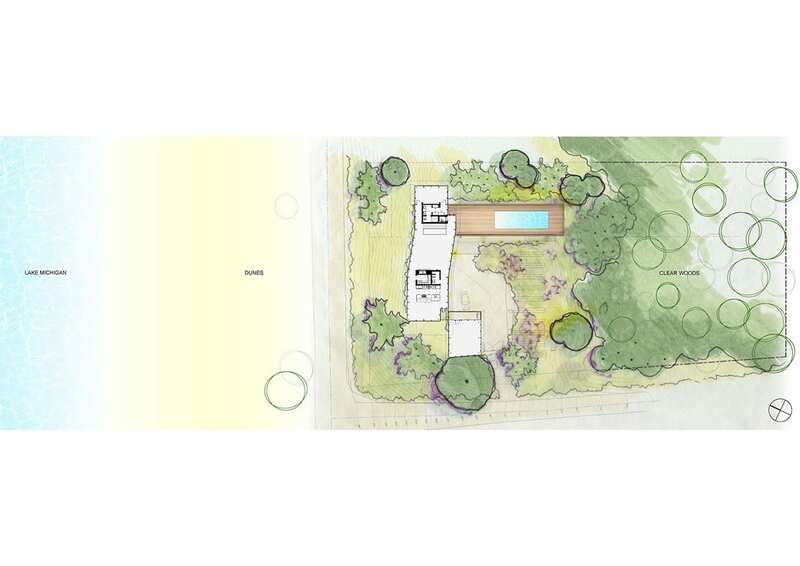 All landscaped areas feature xeriscaping, which does not require irrigation.